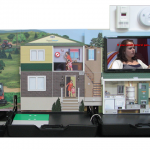 The Gas and Electrical Hazard Hamlet energy safety simulator is designed for interactive presentations to groups and classrooms of 20 to 30 people. 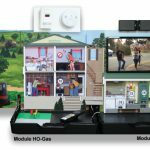 Based on our best-selling Hazard Hamlet electric safety model, it’s a riveting teaching aid designed to help children and homeowners, remembering to act safely. 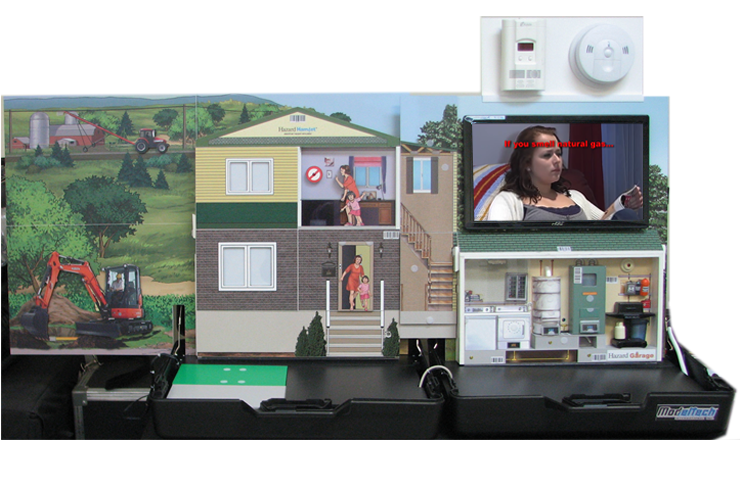 Through realistic special effects, bright LED’s and panels lighting, sound animation illustrated “flip panels” and 3D accessories, show your audience the proper safety measures when dealing with natural gas, carbon monoxide and electricity. 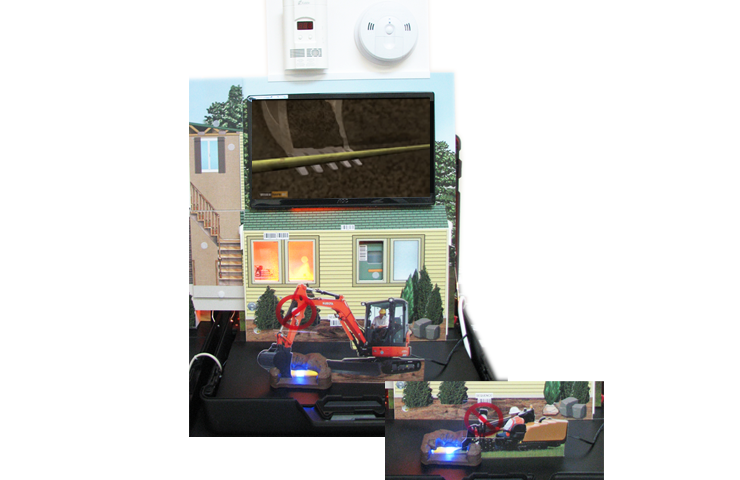 The incorporated mini-computer & 18” monitor will give you rapid access to real footage videos & computer animation to convey efficiently gas & electrical safety messages. 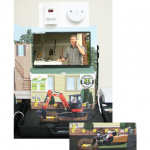 Show how to recognize CO2 intoxication symptoms, how to evacuate in the event of a gas leak, and why annual inspections are a must on home appliances. 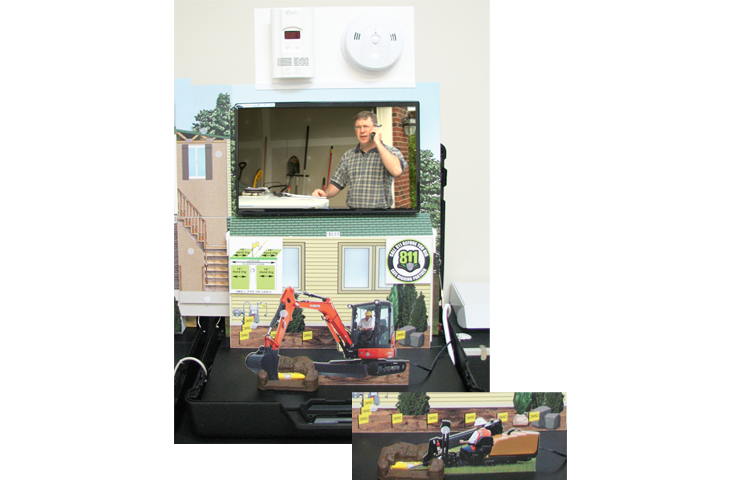 While remaining an impressive presentation tool, the Gas and Electric Hazard Hamlet safety display is built in two handy carrying cases to facilitate transport. 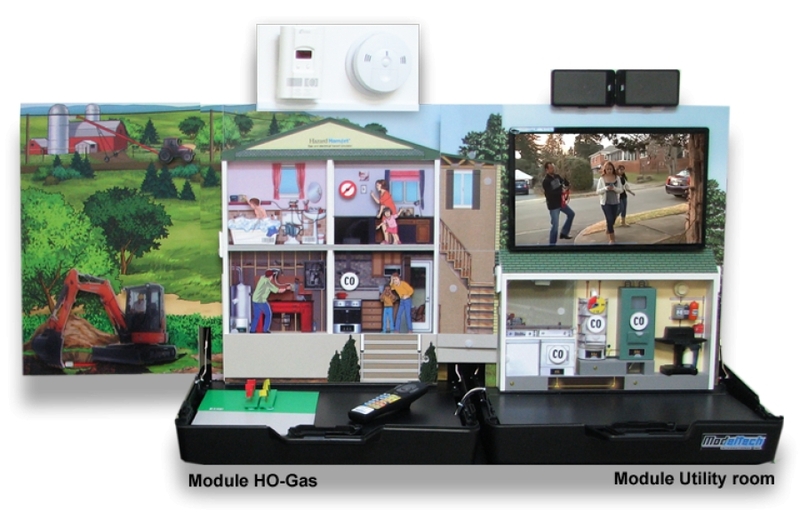 Whether in a classroom, apartment building or at an outdoor event, simply roll it in, set it up and demonstrate how to prevent and react to gas leaks! 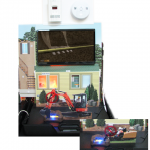 ELECTRIC HAZARDS / OUTDOOR: Overhead and Underground Powerline / INDOOR: radio near bathtub and frayed wire.